Wow what a first week for RED January! I was smug for a day, then felt the opposite of smug, then totally broken, what a challenge this is! 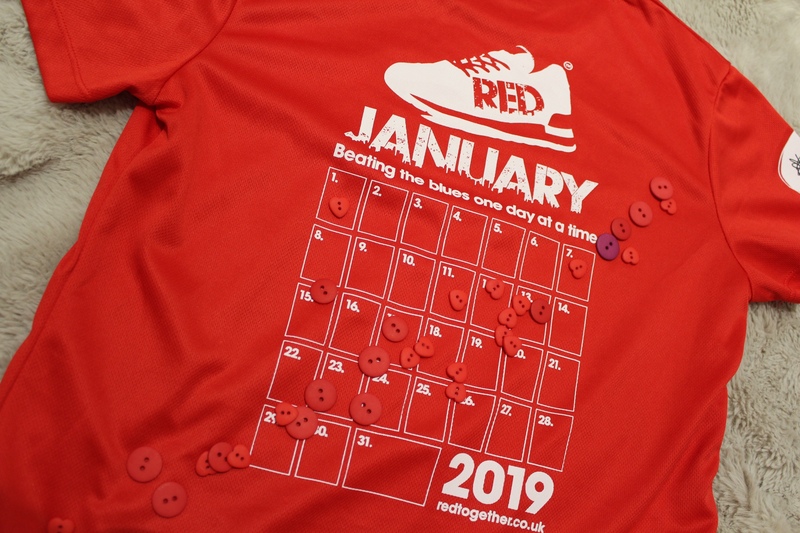 I also quickly came to the conclusion that I’d rather go out and run every day than sew a button onto my RED January t-shirt! I’m so awful at stitching, I thought this was going to be a much bigger challenge for me every day! If you haven’t heard about RED January yet, click link here where there’s tons of information on how you can get involved and what the aim of it is. In summary, it’s not just a January challenge, it’s been developed to improve mental health at a time when many people can feel low and money is tight after the Christmas period. In conjunction with the mental health charity Mind, it aims to promote physical activity by challenging you to run every day. It’s been literally 2 months since I ran at all so my plan for my first run of 2019 is a steady slow one! I did a nice long walk warmup for around half a kilometre and then got into what I can only describe as a gentle jog. Ooh this is nice, why haven’t I run for so long…? Then my girl boss badass song came on Spotify (Demi Lovato’s Sorry Not Sorry if you’re wondering) and boy was I feeling pumped. I was singing along and having a great time and then BAM… crikey, I didn’t realise how unfit I’d gotten! This used to be my easy short route! So, because I’m the sensible type (I’m going for the long haul here so cannot get injured! ), I eased off the running and did more of a jog/ walk for the entire run and it actually felt pretty great. The weather was warm for January, the wind was minimal and I just enjoyed being outside and listening to some tunes. Back at home I did a short stretch sequence which I’m terrible for neglecting usually. I’m not sure whether I’m living in a parallel universe, a bit like Bandersnatch that I unashamedly played 6 times in 2 days, but when I completed my run it had logged it for 11.55pm on 20 December! 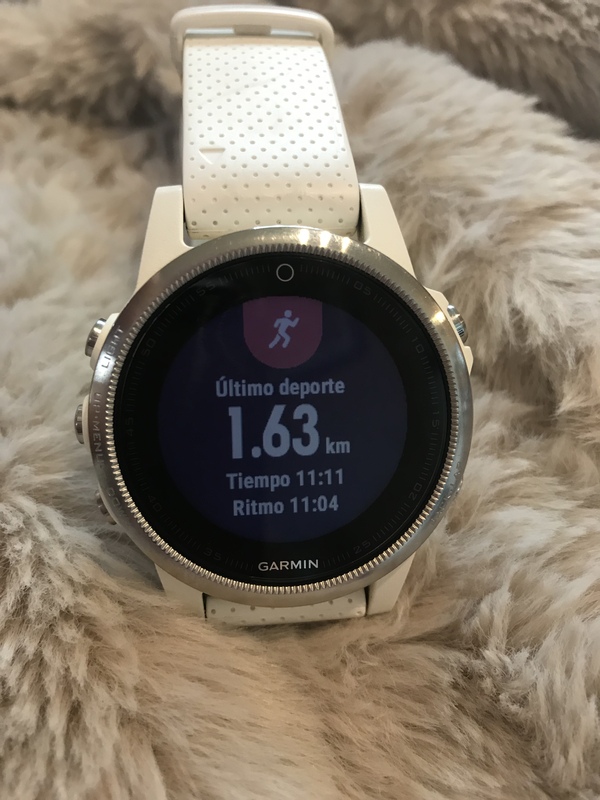 Come on Garmin get it together! I did get a ‘night owl’ badge though so….. ok it doesn’t count but hey! 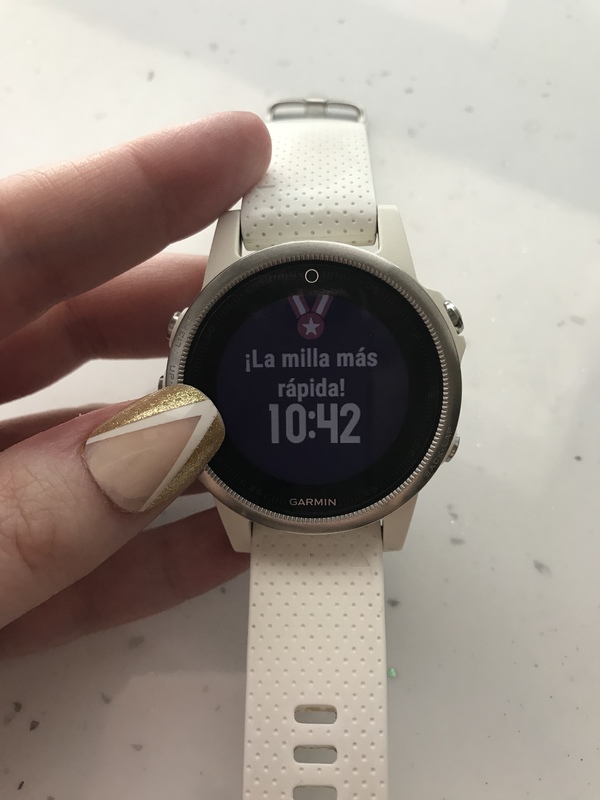 I’m learning Spanish so I’ve changed all of my devices to be Spanish! Based entirely on this one run alone, I am thinking this challenge is going to be easy. Let’s see how it goes when I don’t have the day off and I’m back to reality and flying by the seat of my pants like normal! Injuries: my right outside foot felt a bit off and by the end of the run the top of my right foot felt iffy too! Not really an injury but my gosh we’re my legs and knees sore come the evening. Going downstairs, no thanks I’ll stay up here for now. How I felt before: not too bad actually, I’d say I was in a good mood and felt happy and optimistic for the New Year. How I felt after: mood stayed the same except I felt a little more badass than before. Tried not to feel too low that I’m starting from scratch again. On the back of your RED January T-shirt there’s a calendar for you to ‘check off’ the days that you’ve worked out which is a nice idea. I intended to buy some iron on stars for each day but they were super expensive so I rooted around in my loft and found these really cute buttons which I’m going to sew on. It’s been a long time since I’ve had to sew anything and this was much more troublesome than I imagined it would be! My legs… just… no stairs for me please I just can’t! Puts into perspective just how unfit I’ve let myself get, yesterday wasn’t a long run by any stretch of the imagination! What a contrast to yesterday’s run! It was freezing cold and I ended up with a Rudolph red nose to go with my RED T-shirt. I’m going to try and make a mile my minimum daily distance but I’ll be happy getting out at all some days. Also I’m getting better at sewing on buttons already! I spent the afternoon and evening working and when I went to get up… I felt like an 80 year old woman… Yesterday I thought this challenge was going to be easy but I’m not so sure about this now. 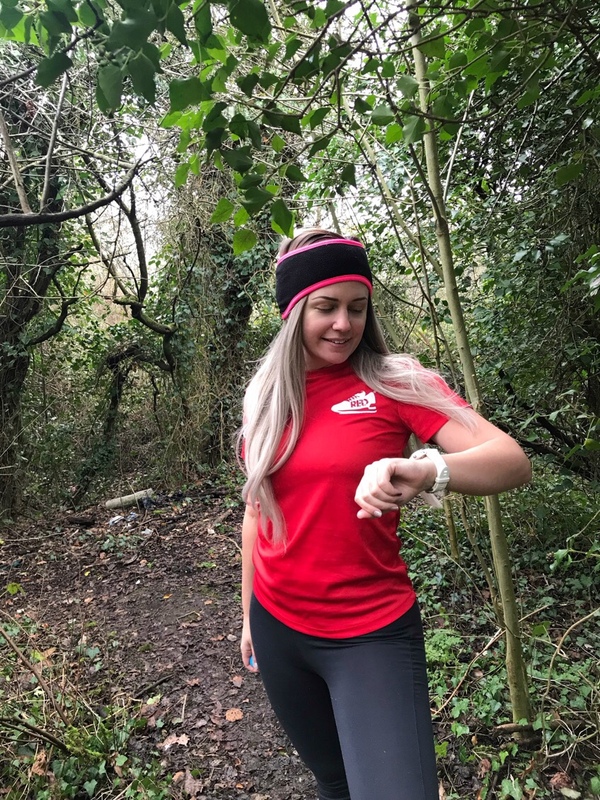 I read another blog post of someone who participated in RED January last year, who was a much more prolific runner than I am, and she said it nearly broke her! Eek! Mood after: super cold but feeling energetic! I’m slightly embarrassed to say that I feel broken already with this challenge and I’m only on day 3! 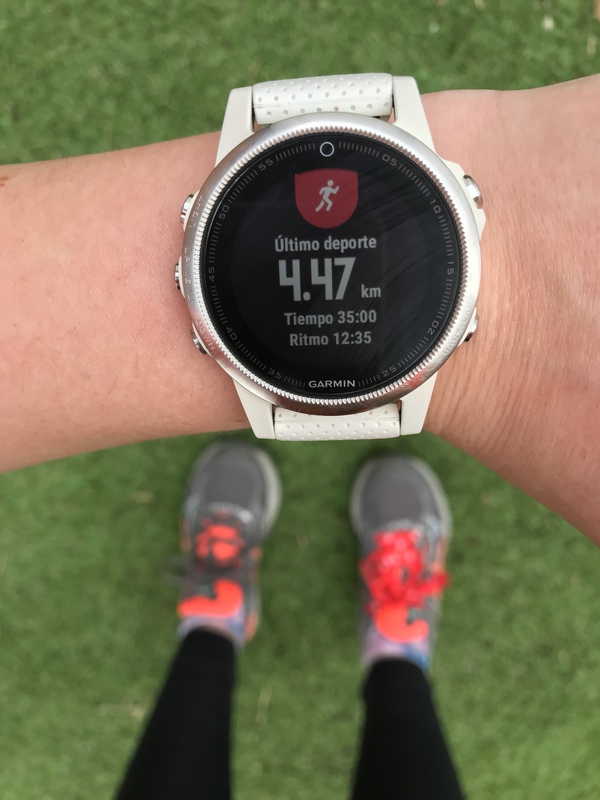 When I put my running shoes on, I felt a little bit of discomfort on one of my feet, a little like if you’ve been wearing a backpack all day and you put it back on. The weather was overcast and so so cold today, what a grey depressing January day it was! I planned to go out for one short mile but, as oftentimes does happen, I get the idea in my head that I’m going to go further once I’m out there. 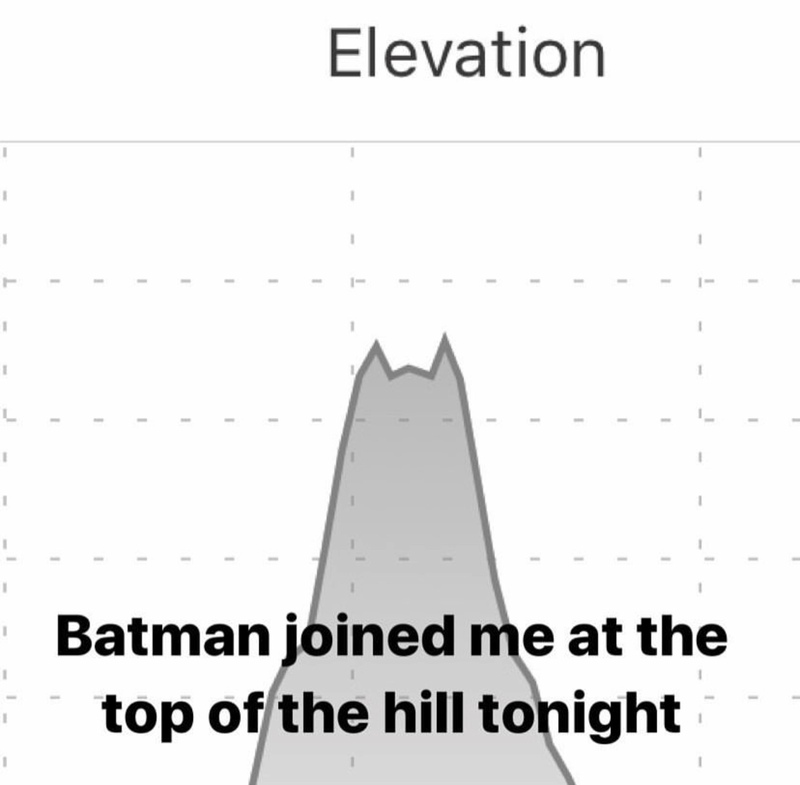 Not only that, but I decided I’d go up my nemesis hill (I’ve also affectionally nicknamed it the ‘Batman Hill’ because on Strava the elevation looks like Batman!). I felt great… then awful… then great again all within 3 miles. Also, I found a new found appreciation for having a shower after a run… isn’t it glorious! Later on in the evening, I literally felt like I’d been stomped on across every part of my body. Wasn’t I the cocky one 2 days ago thinking this was going to be easy! I felt much better today, I didn’t feel quite so ‘stomped on’ which can only be a good thing! I’ve been reading other stories of runners getting involved in RED January and I’m so inspired by everyone it makes wanting to continue very easy. I went out for a leisurely 1 mile but honestly even that felt difficult. It was freezing cold out again today which makes breathing in just that bit more difficult! Mood after: tons more energy to get my chores done and warm up of course ? I think it’s easy sometimes to forget why we are all joining in with this challenge as you get swept away with the days and miles but I am very keen to keep promoting the mental health aspect of this challenge as much as the challenge itself. So with that in mind (no pun intended) I took as many tips from as many different places as I could get my eyeballs on. I updated my company Yammer page, I helped get the incentive out into our workplace as much as possible, we ran mini challenges, I promoted it on Instagram, Twitter and my blog here. I told everyone that would listen, I joined the Strava group and updated my posts with ‘RED January’. Of course there are people that don’t want to be helped for many reasons. You can’t force people into doing physical activity. You can lead a horse to water but you can’t make him drink as they say. I can’t make him drink, but I can raise awareness of this brilliant challenge and provide people with as much information and support that they want. There’s a whole community of people out there who want to help themselves, each other and everyone else. My favourite community is the one on Instagram. Search for the hashtag #REDJanuary and you’ll find a whole host of posts to motivate you and make some friends along the way. 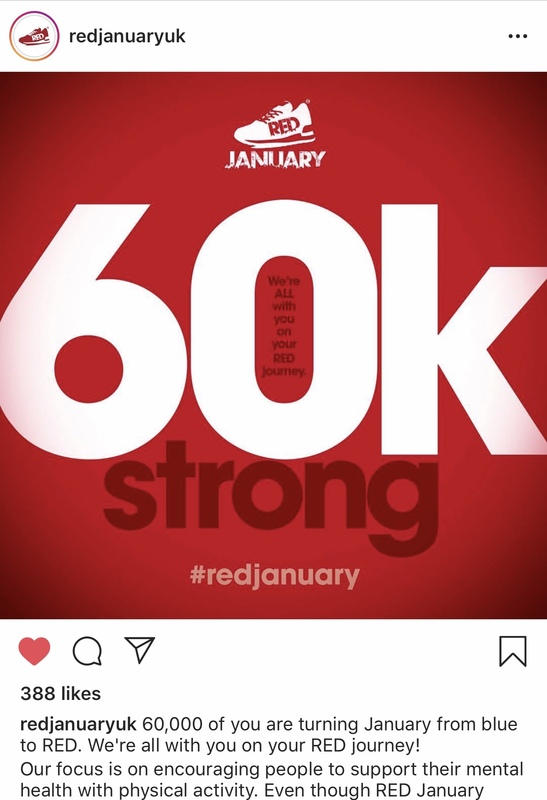 I saw on Instagram that there are 60k people signed up for RED January this year which is just absolutely amazing! RED Day 5 >>> 1.03 miles >>> Looks like we’re running again today! The run was pretty tough I’m not going to lie, although it wasn’t as cold as yesterday, it still was difficult breathing in and I left it so late in the day it was dark when I finally went out. I managed to grasp a 2019 PB but I feel that I’m so far away from my old mile PB which was 8 minutes on the dot that I might never see it again. Mood before: pretty down and lethargic. Even had the thought ‘would anyone even know if I didn’t go out for a run today’. Mood after: after my little dance party and run I was feeling happy and energetic. I even had a little impromptu Mary Poppins sing along because Spoon Full of Sugar popped into my head (and now I have a sore throat, I’m no Julie Andrews). This was the toughest run I’ve had so far this month. It felt difficult, I felt very lethargic and my ankles felt horrible. It probably doesn’t help that I had 3 Quality Street chocolates before I left, which I don’t recommend as a pre-run snack! 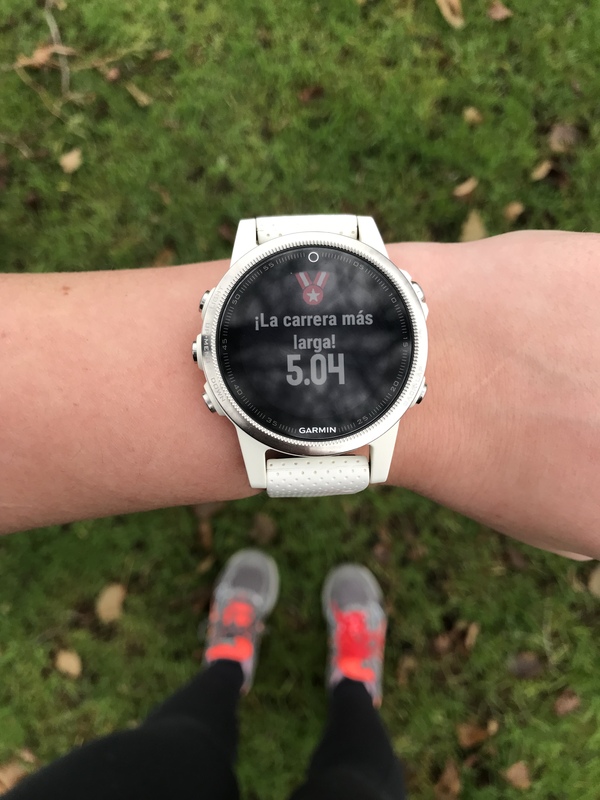 I had decided that today was going to be my 5k Virtual Run day with https://www.virtualracinguk.co.uk for the Flamingunicorn medal, which is so cute so I set my watch for 5k and just went out there and did the best I could physically do. 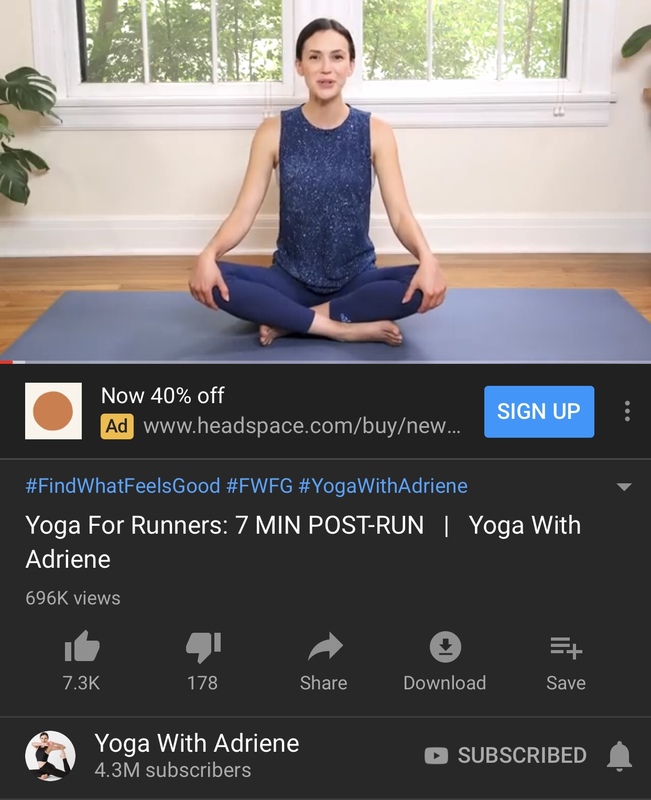 I followed up my run with Yoga with Adriene which was a nice end to this week. Honestly, I don’t feel great today so it’s a bit of a low note to end on but I did run every day and did a total of 12 miles so that’s the main thing. 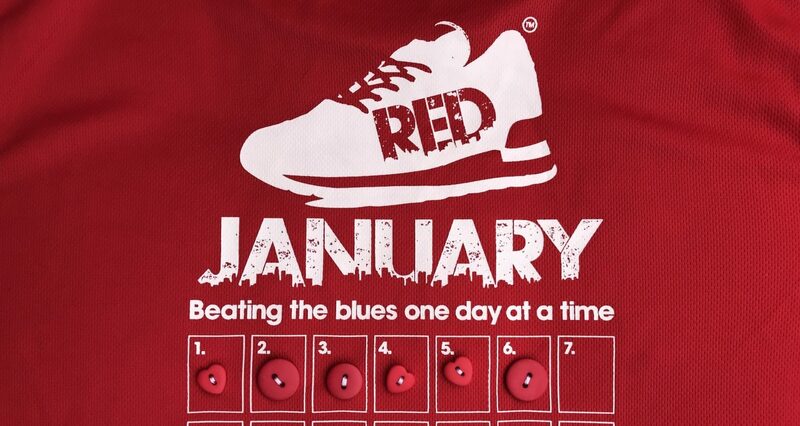 How have you got on with your first week of RED January? My main goal for the rest of the week is not to get injured so I can continue with the challenge. My sewing skills throughout the week! Well done with your RED January journey – I love the idea of warming up with a dance party! I’m definitely going to give it a try.